Full Sail Partners, a Deltek Premier Partner, announces that Tanya Drake has joined the firm as Technology Consultant and will manage vendor relationships for the newly formed Technology Solutions Division. In this capacity, Mrs. Drake will provide assistance to professional services firms to identify technology gaps and support IT needs. This strategic hire strengthens Full Sail Partners’ technology group to provide clients’ hardware, software and technical services to support their goals and needs outside of their Deltek Vision software. Throughout her career, Tanya has held several roles with various business-focused technology solution companies where she has worked with clients to identify areas of opportunity for process improvement. 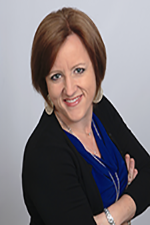 Tanya has more than 15 years of collaborating with professional services firms providing them insight to navigate the decision making process from inception to implementation on technology solutions. Her vendor agnostic approach to identifying solutions for clients ensures that the best fit and most practical solutions are implemented.